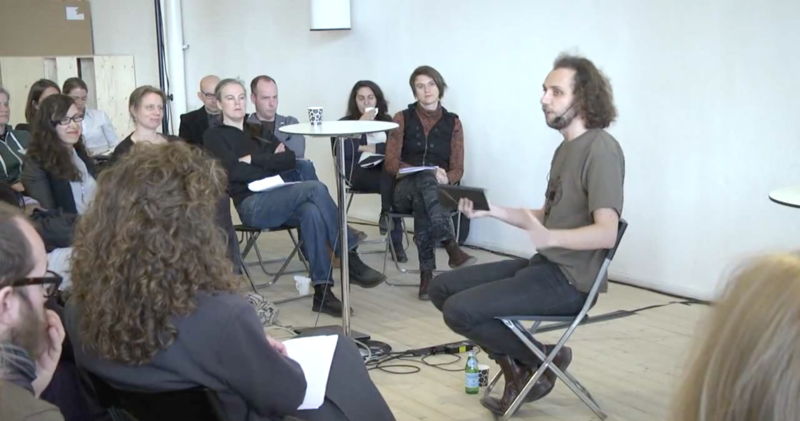 In April 2013, I got a last minute invitation to speak at the Commoning the City conference at The Architecture Museum in Stockholm. Together with the essay for STIR magazine republished below, this talk marks the point at which – inspired by conversations with Gustavo Esteva and Anthony McCann – the commons moved to the centre of my work. In the architecture museum on the island of Skeppsholmen, in the heart of Stockholm, eleven of us have been brought together to spend two days thinking aloud around the theme of Commoning the City. I am the nightwatchman on this team, sent in to replace the Swiss author, P.M., the man responsible for the anarchist utopia bolo’bolo, who has had to pull out for family reasons. Taking his place in the open conference that is the centrepiece of the two days, I realise that this is the first time I have spoken in public on the subject of the commons. For most of the others, this is a term that has been at the heart of their work for years or decades. 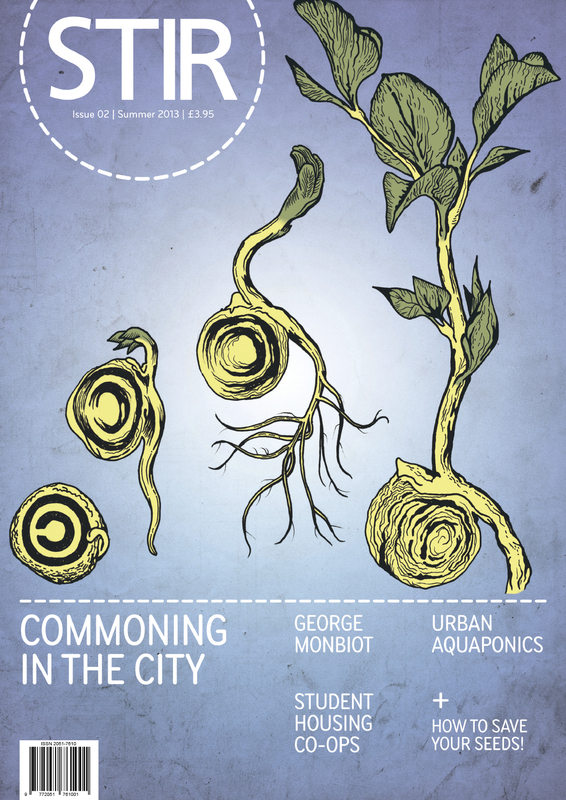 Meanwhile, this event itself is evidence of the new importance that it is taking on: ‘commons’ is becoming a charged word, following a path similar to those taken by words such as ‘sustainability’ and ‘resilience’, raised as a banner under which an increasing variety of people and organisations wish to place themselves. At such moments, there can be mixed feelings for those who have a long history with the word in question: there is room for a sense of vindication, but also concern at the new meanings, or new vaguenesses, that accrete to a word as it comes into vogue. As a relative outsider, it is interesting to observe people coming to terms with this, and certain questions arise: not least, why is this happening now? Of everything I hear during these two days, the answer that most impresses me comes from Stavros Stavrides: ‘commons’ has become useful, he argues, because of a change in attitude to the state, a disillusionment with the ‘public’ and a need for another term to takes its place. The public sphere, public values, the public sector: all of these things might once have promised some counterweight to the destructive force of the market, but this no longer seems to be the case. Into this vacuum, the commons enters as an alternative to both public and private. I find myself wanting to push this further, to suggest that it indicates a significant historical rupture, in at least two senses: a breaking of the frame of politics as a tug of war between the forces of state and market; and the failure of the project of the public, the promise of liberal modernity to construct a neutral space in which we could meet each other as individuals with certain universal rights. This latter point is particularly uncomfortable, we discover during our conversations in Stockholm, since many of our ideas of social justice are founded on that framework. Yet if it is true that the rise of the commons reflects the failure of the public, it is not clear that we can simply expect to borrow its assumptions. A politics that has abandoned the public might justly be called a post-modern politics. We have already seen the cynical form of such a politics in the hands of Bush, Blair and Berlusconi: the reliance on controlling the narrative, the disdain for ‘the reality-based community’. Against this, the appeal to older public values looks sadly nostalgic. (Think of Aaron Sorkin’s latest series for HBO, The Newsroom: its opening titles, a montage of a nobler age of American journalism, the series itself offers a kind of liberal wish-fulfilment, while Obama presides over drone wars and assassination lists.) The attraction of the commons, then, may be that it promises the emergence of a non-cynical form of post-modern politics. If the commons was to hand as a reference point for such a politics, this was to no small extent the result of the emergence of new modes of collaboration, facilitated by — but not limited to — the internet. A great deal of excitement, some of it well-founded and some of it hype, has centred on the disruption to our forms of property and modes of production being brought by the ways in which people are using networked technologies. It hardly helps that attempts to articulate the genuine possibilities of these technologies are inevitably entangled with the interests of venture capital firms and huge corporations, a libertarian ideology, and a California-inflected mythology about the evolution of human consciousness. Apart from anything else, these entanglements obscure the extent to which the most appealing aspects of the internet are often as old as the hills: many of the modes of community and collaboration that have come into being around these technologies are recapitulations of earlier social themes, marginalised by the structure and scale of industrial mass societies. One of the defining characteristics of such societies has been the marginalisation of human sociability: domestic space becomes a private sanctum, strangers no longer speak to one another in the street, while there is a compulsion to choose the more profitable and efficient mode of any productive activity over forms whose inefficiencies might allow more room for sociability and meaning within the activity itself. 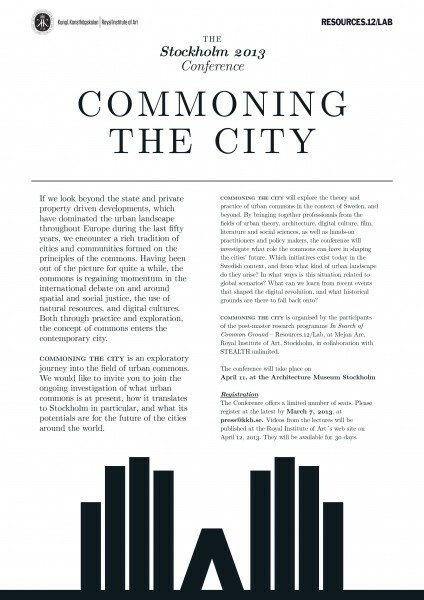 Describing the organisation of activity within cities, the sociologist Ray Oldenburg identified the phenomenon of the ‘third place’: neither the home nor the workplace, but the convivial meeting point — whether pub, cafe or hair salon — whose importance to the life of a local community is out of proportion to the amount of time we get to spend there. Where Oldenburg views this as an eternal feature of human societies, we might recognise the third place as a kind of native reservation: an enclave in which our indigenous sociability exists under license, while the rest of the social landscape is subject to the demand for efficiency. There are deep ambiguities here: technologically, the internet represents an intensification of many of the dynamics of the industrial era; yet in the new social spaces that have accompanied it, people have had powerful experiences of what it means to come together, work and build communities under conditions other than those that dominate the real-world communities and workplaces we have inherited from industrial society. Whatever else, these ambiguities imply the political nature of such spaces: the new forms of collaboration easily turn into new forms of exploitation — the line between crowdsourcing and unpaid labour is poorly marked — and hence our conversations in Stockholm also touch on the need for new forms of collective organisation. The historical commons might suggest another element within the resistance to exploitation and the formation of a new politics. As Ivan Illich and Anthony McCann have argued, historically, the commons was not simply a pool of resources to be managed, but an alternative to seeing the world as made of resources. Specifically, the commons was not something to be exploited for the production of commodities, but something that people could draw on within customary limits to provide for their own subsistence. During the generations of enclosure and industrialisation, the meaning of the term ‘subsistence’ was turned upside down: a word which, in its origin, referred to the ability to ‘stand firm’ came to signify weakness instead of strength. In the language of economics, ‘subsistence’ now stands for the barest and most miserable form of human existence. The irony is that this inversion took place just as the means of subsistence were being taken away from the greater part of the population, not least through the enclosure of common lands to which they had previously enjoyed claims of usage. To reclaim subsistence as a condition of strength, especially when compared to total dependence on wage labour, is not to confuse it with the fantasy of self-sufficiency that has a particular grip on the American imagination. When Illich speaks of ‘the commons within which people’s subsistence activities are embedded’, he is describing a fabric of social relations, a patchwork of customary law. ‘It was unwritten law,’ he says, ‘not only because people did not care to write it down, but because what it protected was a reality much too complex to fit into paragraphs.’ This is not the radical independence of self-sufficiency, but a kind of mutual dependence that is held together by human relationships, rather than only by the forces of the market. Reclaiming the concept of ‘subsistence’ — the ability to stand firm, to meet many of our own needs, without being wholly at the mercy of the market or the state — may be an important piece in the jigsaw of a 21st century politics. If the Pirate Party marks one end of the new politics of the commons, perhaps the other end looks something like the Landless Peasant Party. How do we handle it, when words that have mattered to us gather a new momentum and get raised as banners? Of course, I hope that good things will flourish in the name of the commons in the years ahead. At the same time, the experience of many who have worked for the goal of ‘sustainability’ suggests how disorientating such a journey can become. Subsistence is hardly the only example of a word that has come to mean the opposite of what it once did. That words fail us is not a mistake, it is in the nature of language. In the plenary session that brings our time on Skeppsholmen to a close, I find myself quoting that passage from Illich about ‘a reality much too complex to fit into paragraphs.’ If what matters most is the part that is hardest to write down, then the challenge is to stay faithful to this: to tack towards the unwritten, rather than setting a straight course towards an approximation. Ultimately, all our language is provisional, an endless reaching towards what we are trying to say. Such statements sound close to those made by the kind of theorists of postmodernism whose students often fall into cynicism. Yet the provisional nature of language need not be a source of despair: it can be sufficient to our situation. The trick is to hold our words lightly, to be willing to let them go, for no word needs to be sacred. And as I write this, four weeks after those conversations in Stockholm, it occurs to me that perhaps I am just stumbling towards what P.M. himself would have said to us, had he been able to make the trip from Switzerland.